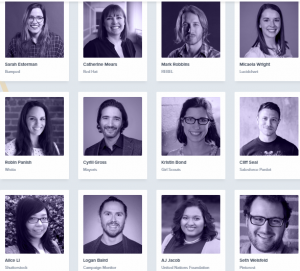 Litmus live conference 2018 in Boston is one of the Litmus live series of digital marketing & social media events around the worldwide, that including Litmus live conference London on August 21, 2018, and its event in San Francisco on November 8-9, 2018. Litmus live conference Boston 2018 is gathering the leading experts to learn the latest in email marketing with advanced sessions on everything from data-driven design to advanced personalization, improved workflows, and more to improve the performance of your email campaigns. It’s a 3-day event, that will take place from 17 – 19 September 2018 in Boston, USA. Join leading experts in Boston and learn the latest in email marketing. sessions on everything from data-driven design to advanced personalization. Learn email design, strategy, and development. Each location offers a slightly different schedule and agenda; speakers and sessions will vary. updates here OR discover more Digital Marketing events, conferences & webinars in the USA during 2018 here.